S/Y "IDYLLE 1" is a BENETEAU 15.50, an offshore cruiser, designed by naval architect GERMAN FRERS and built for long passages with comfort and ease in mind. 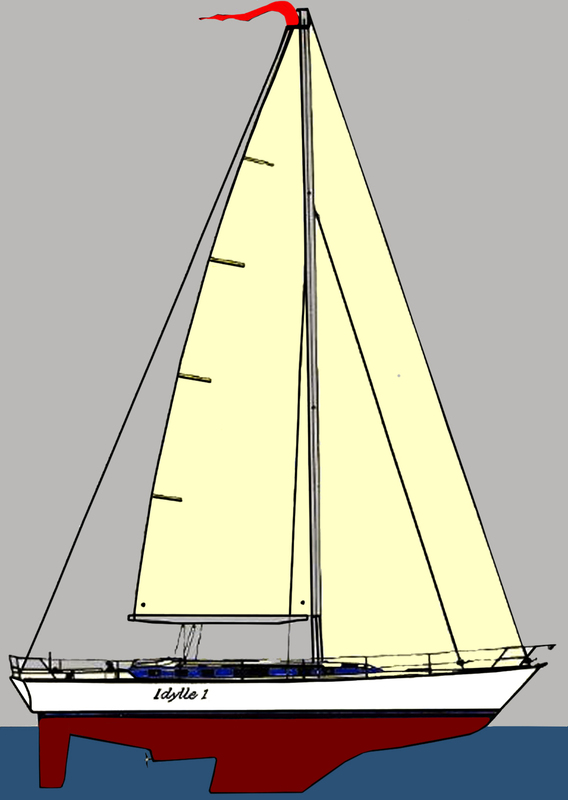 Her long keel and hull with easily driven lines, combined with a powerful cutter/sloop rig, perform well in all conditions, maintaining an outstanding 8-9 knots average under sail or power. Her smooth motion and "little ship" character is enjoyed by the pure sailing fans and the leisurely laid back guests alike. On the deck there are large clear sunbathing areas. The teak slatted cockpit carries a big table with icebox for dinners or drinks al fresco. An opening transom, that can swing down to the sea level, has a built-in swim platform and steps for easy access to and from the water. The large sprayhood and the bimini offer complete protection while sailing or when laying at anchor. Displacement: 15,000 kg / 33,069 lbs. Ballast: 5,900 kg / 13,007 lbs.